Home » What's New » CyberFlow posted a link to my article. 10/11/16　CyberFlow posted a link to my article. 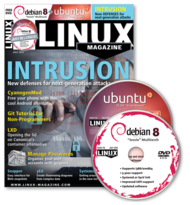 CyberFlow posed a link to my article in Linux Pro here. Powerful services like WildFire and FlowScape can help you defend against a new generation of persistent network attacks. The original network intruders were often misfit geeks operating from boredom or a need for thrills. As businesses went online, a new kind of intruder arose a thief, poking around for credit card numbers or a chance to add another spam slave to the botnet. This new breed of intruder brings a sophistication that takes the threat to the level of cyber attack. Well-funded and highly skilled criminal organizations can stake out a network for months sometimes years, keeping constant watch and trying every trick they know until they find a way to slip past security. Many of these organizations aren't just looking for a single hit they want to stay on the network for the long term and generate revenue by stealing financial data, medical data, and trade secrets.